Isabella Strand is the main character in this story and she is a professional coach with a background in journalism. She is born in a small town 160 kms from Stockholm but she has lived in Stockholm for many years now. She was born on the fourth of April 1968 and she is divorced and has one child David, 8. 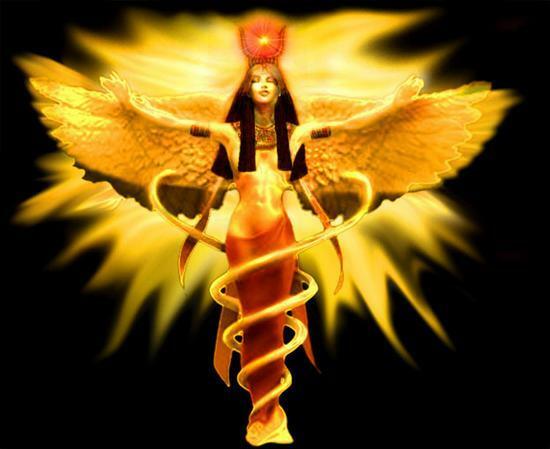 She is the founder of her coaching company called Isabella Strand Inner Search (ISIS) and found much joy in the allusion to the old Egyptian Goddess Isis. I do believe in God. I appreciate this amazing online website. Thank you for keeping an eye free for the site – much appreciated. Thanks for a positive response. Seems like you have what it takes to grasp anything you desire. You have a combination of being humble and a willingness to try. Owning that is the perfect start for anything. Thanks Emma for the short and sweet comment. Thanks for the fine comment. Thankyou for such a great article, I discovered your blog while surfing the internet for rather simmilar. Yet I dont see eye to eye with all that you have written but then it is your blog and down to you what appears. On the whole I have found your article thought provoking and well presented.I will send your post details to a few of my friends as i am certain they will not only want to read this article but keep an eye on your blog as you look to have your finger on the pulse and can clarify things in a understandable and appealing method.Well a sufficient amount of the rubbish good luck and keep writing. Thank you very much for taking your time to read and also to comment. This is much appreciated. Glad that you plan to send details on too. Thanks again. Really appreciate you taking your time for such an eloquent response. Thanks. Wonderful blog! I truly love how it? s easy on my eyes as well as the data are well written. I am wondering how I can be notified whenever a new post has been made. I have subscribed to your rss feed which need to do the trick! Have a nice day! Finally a superb article in relation to the topic, maintain the good work and therefore I hope to read more of your stuff in the long run. Your Website is awesome. Thank you so much for giving plenty of practical information. I have bookmark your ebsiteand will be without doubt coming back. Once again, I appreciate all your work and also providing a lot awesome concepts to the audience. Good blog! I really love how it is easy on my eyes and the facts are well written. I am wondering how I may be notified whenever a new post has been made. I have subscribed to your rss feed which should do the trick! Have a nice day! Nice post admin. Keep the good work. Thanks for writing this great blog.. it gives me a lot of insight on the topic. I’ve added this page to my favorites for further reference. Your Website is awesome. Thank you so much for providing plenty of awesome content. I have bookmark your blog siteand will be without doubt coming back. Once again, I appreciate all your work and also providing a lot vital tricks for your readers. Thank you for taking the time to make a comment. A Very nice input . Whenever i check your website i find a unique view. In addtition , as a fresh developer, i should mention that the structure of your site rocks . Could you post some information regarding the theme ? . I find it hard to choose among all these themes and widgets. An interesting concept this. I am one of those people whom tend to wait for things to mature before taking action but in this case I am mindful that inaction leads to only failures so I will heed your comments and start to do something about it. Glad you like it…credit to the creator…. Perhaps “Christ” and religion might be a little off topic on this site right now. Maybe later. Thank you for these kinds of a good blog.I definitely loved every little bit of it. I have you bookmarked your site to look at the latest stuff you post. Thank You. Your comment warmed my heart. I have to admit this article is made in very educational way. I would like to congratulate the editor for distinguished blog and authoritative post. Excellent story, bookmarked the site with hopes to see more! Thanks for taking the time to cheer on. Admiring the hard work you put into your website and detailed information you present. It’s nice to come across a blog every once in a while that isn’t the same out of date rehashed material. Excellent read! I’ve saved your site and I’m adding your RSS feeds to my Google account. I signed up to your rss feed! Will you post more about this theme? Superb blog, I am really liking the styling and colour scheme, Can I ask what theme are you using for this blog? With every thing which appears to be developing within this area, many of your perspectives tend to be fairly exciting. Having said that, I am sorry, because I do not give credence to your entire theory, all be it refreshing none the less. It seems to everyone that your comments are not totally validated and in fact you are your self not really fully certain of the assertion. In any case I did take pleasure in looking at it. Hey there! This post could not be written any better! Reading through this post reminds me of my old room mate! He always kept talking about this. I will forward this write-up to him. Pretty sure he will have a good read. Thanks for sharing! Thanks Anneli for sharing your thoughts. I am happy that I discovered this web site, exactly the right info that I was looking for! . That sure is a compliment and very tempting. Nearly all of the things you mention happens to be supprisingly accurate and it makes me wonder the reason why I had not looked at this in this light before. This piece truly did switch the light on for me as far as this particular subject matter goes. Nonetheless at this time there is just one issue I am not really too comfy with and whilst I make an effort to reconcile that with the actual main idea of your point, allow me observe exactly what the rest of your readers have to point out.Well done. Hi there! This post could not be written any better! Reading this post reminds me of my previous room mate! He always kept talking about this. I will forward this write-up to him. Pretty sure he will have a good read. Many thanks for sharing! the articlel is damn good to read! I run my own siteand I came here by mistake. I read your articles and I found that they’re ok! I would like to use them on my blog. I want do that without your permission, so say yes. I’m greeting warmly. Good post however , I was wondering if you could write a litte more on this topic? I’d be very thankful if you could elaborate a little bit further. Appreciate it! You can quote this site given that you mention the source – of course! Thanks! I believed it was heading to become some boring old submit, however it seriously compensated for my time. I’ll post a website link to this page on my blog. I am positive my website visitors will find that pretty helpful.